CV Graphics and printing offers you the best prices and quality for all your vehicle displays. We can manage from, a small single vehicle to a large fleet of vehicles. Don’t waist times take advantage of your vehicle as an advertising agent. We can design and install digital graphics for your cars, trucks, vans etc. Turn your vehicle into a rolling billboard today. CV Graphics uses state of the art equipment to create vehicle wraps, panel graphics, or ready to apply letters for your windows. 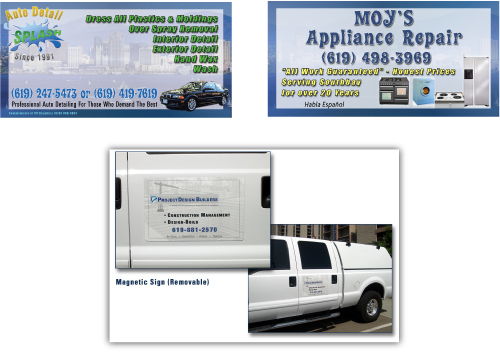 Advertise your business to thousands of potential customer’s everyday with a vehicle.